This wall mounted sculpture is a simplified version of my usual work. It is stripped back to only one track and one track component type. 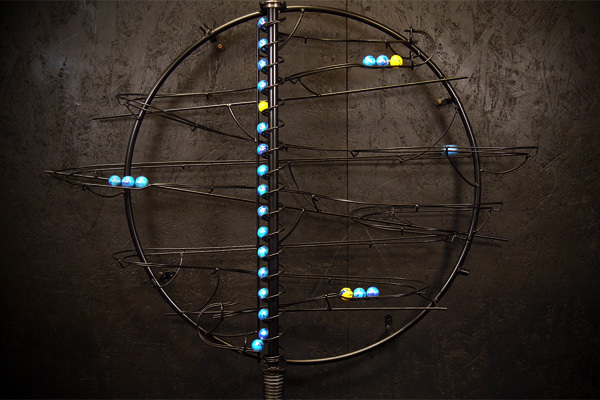 Balls on track features three times on this matte black sculpture which measures approximately one metre square. The circular frame is 700mm.